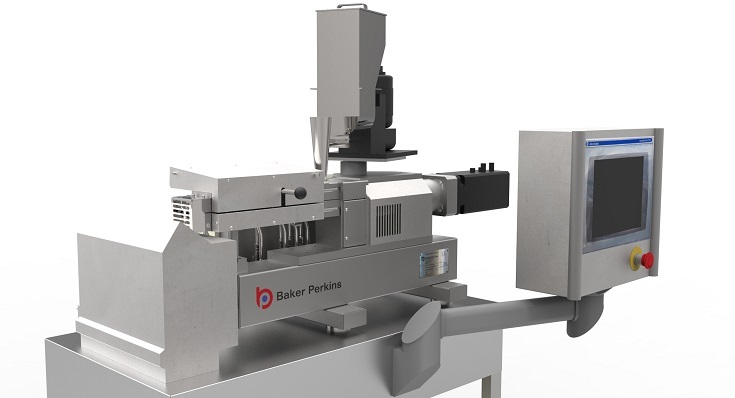 Often used as a research tool in the academic world, Baker Perkins’ benchtop MPF19 twin-screw extruder provides extensive information for research and product development work in a variety of applications including snack, cereal, ingredients and pellets. 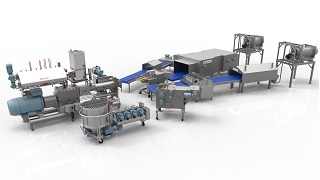 Product developers can use the MPF19 to quickly try out a range of ideas for evaluation; process technologists can carry out trials to help with trouble-shooting or process optimisation; and quality assurance technicians can assess the effect of new or alternative ingredients on the final products. Available as a fully integrated package with on-board HMI or a stand-alone unit with a separate panel, the MPF19 provides outputs in the 5 to 25 kg/hour range. Segmented screws allow great flexibility for profile design, and splined agitator shafts maximize reliability. 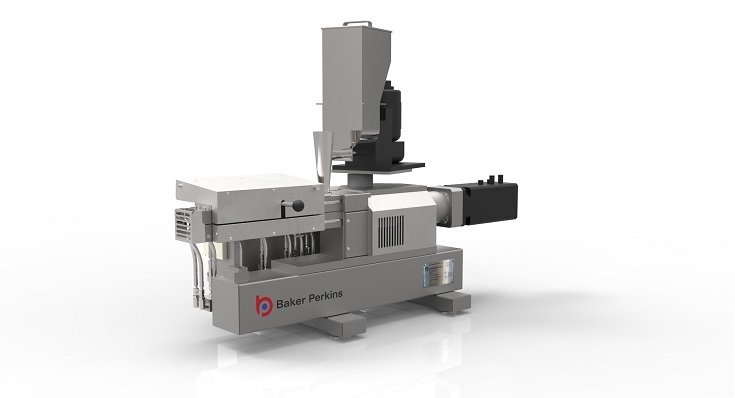 The MPF19 features the Baker Perkins clam-shell barrel. 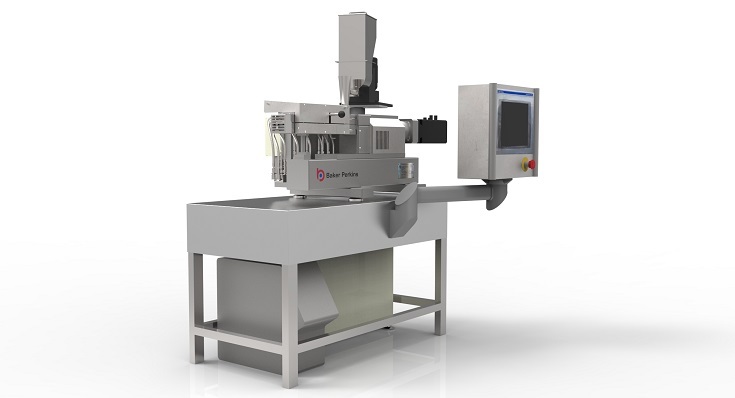 This means that the machine can be stopped at any time with immediate access to view the state of material being processed. 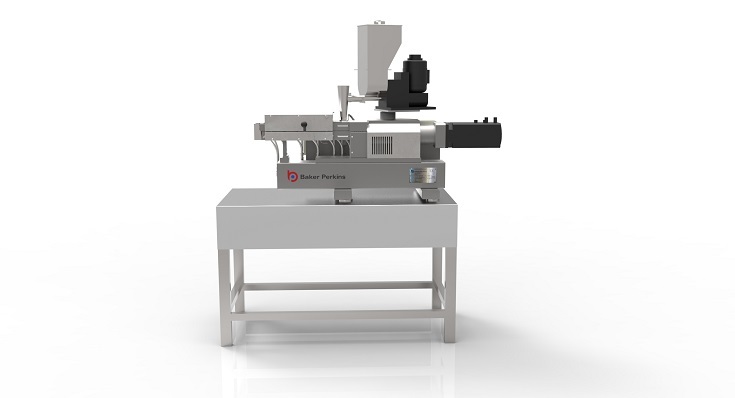 As adjusting the formulation, process settings and screw configurations are all straightforward, and the screw configurations identical in geometry to larger extruders, the MPF19 is an ideal tool for comparing and establishing recipe formulations. The control panel includes most of the features found on production machines, and includes a full recipe management system holding up to 50 recipes, as well as historical trending of data and connectivity to a PC to capture that data. 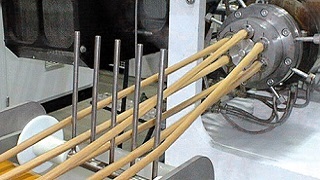 Full automatic start up and shut down sequences mirror production extruders.